That means that all profits generated in the business are reinvested back into the business and into the local area for social good. 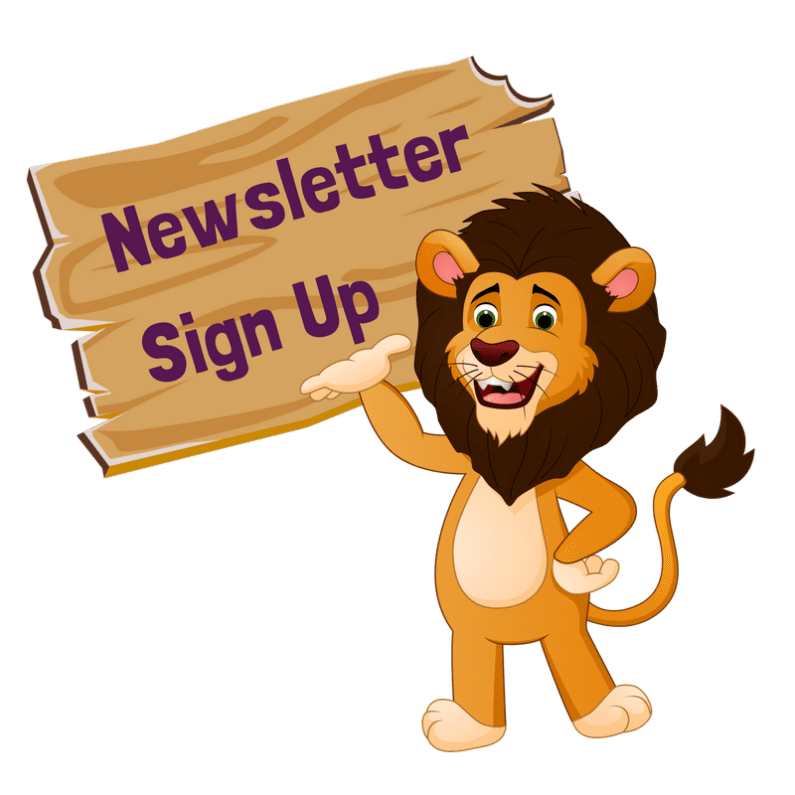 Roar and Explore is part of The Ortus Group who have to date invested over £500,000 back into social and economic regeneration projects, primarily in Belfast. Giving back is fundamental to Ortus’ social ethos. This is achieved through initiatives such as direct donations to local community and voluntary organisations, free business support and mentoring to local SMEs, working in partnership with local influential groups, educational bursaries and organising charity events. We also run a number of internal initiatives including an Inspire Inspiration Point with information on mental health and wellbeing. 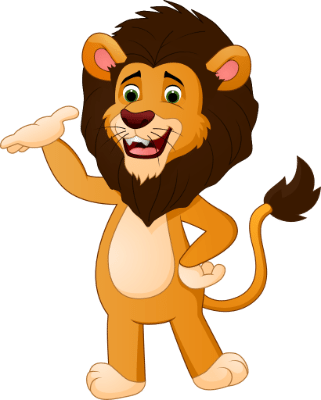 In January 2017, with Roar and Explore’s launch planned for later that year we ran a schools competition to name our mascot! 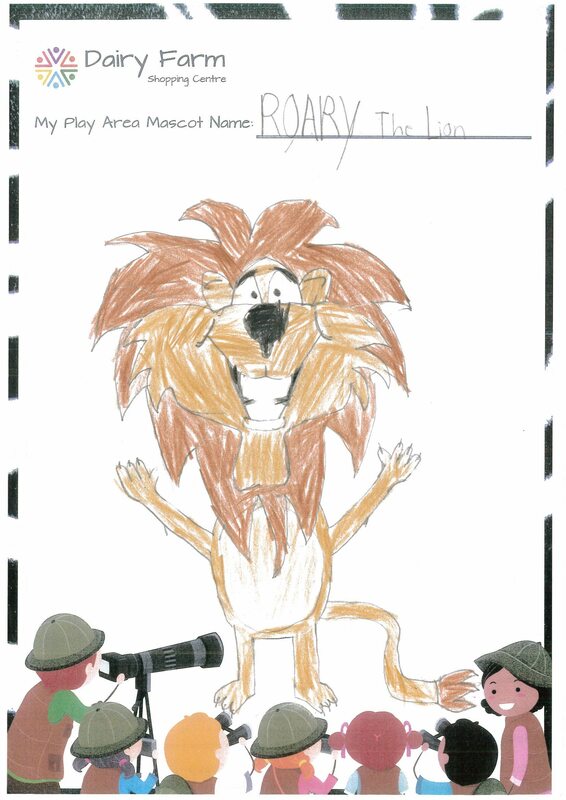 Roary the Lion you can now see throughout the play area was the genius creation of Oisin McGloin from Our Lady Queen of Peace. 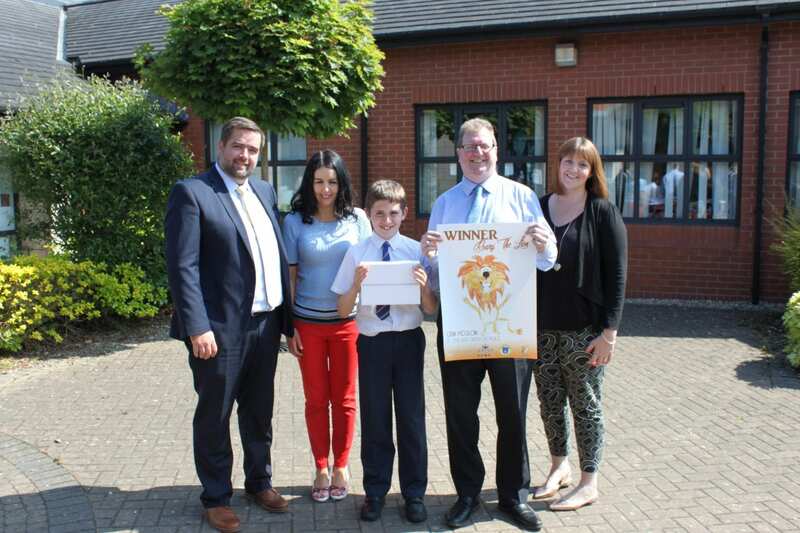 Pictured below is Oisin with his Roary the Lion drawing together with Seamus O’Prey, The Ortus Group, Mrs Sweeney, Our Lady Queen of Peace, Mr O’Doherty, Our Lady Queen of Peace and Catherine McClelland, Roar and Explore.